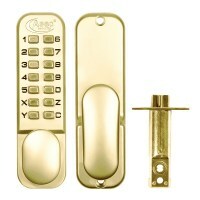 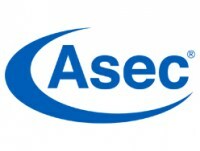 Digital door locks from Asec with optional hold-back facility. 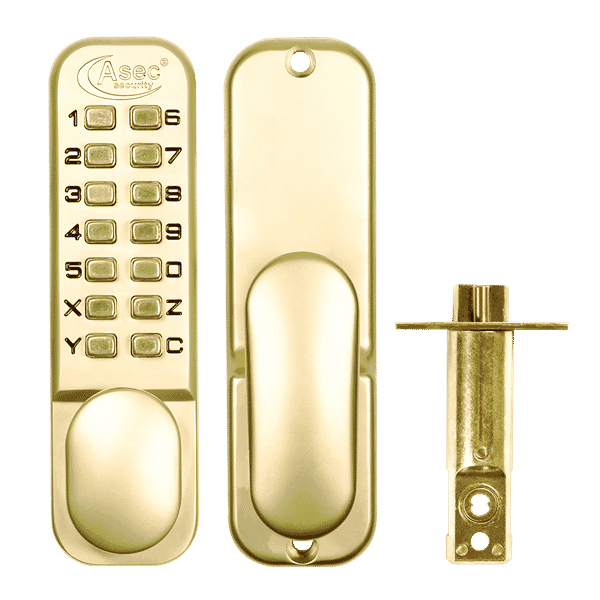 This mechanical digital door lock is ideal for light commercial and domestic use when fitted to internal doors of thickness between 35-65mm. A combination of between 4 and 7 digits is used to unlock the combination door lock with a turn of the thumb turn from outside, exit can be made at any time by twisting the internal thumb turn. With simple fitting and easy operation this Asec digital door lock offers great access control at a low price. Latch bolt is withdrawn by thumb turn when code is entered from outside or at any time from inside.